This is lovely -- and very relaxing. I think I felt my blood pressure drop 10 points when this page opened! This image so effectively captures the notion of "worlds within worlds." Wow Leonard, that's really special! What's the scale? My sincere thanks to all for your kind comments. They are very much appreciated. Beatsy, regarding scale, the tallest of the individual lichens is currently about 1 cm. I say currently because I shot this group a few weeks ago, and it may have grown a bit since. Yes, nice image. Lichens, and mosses and liverworts do make good subjects, where you only notice some of the detail when you look close. 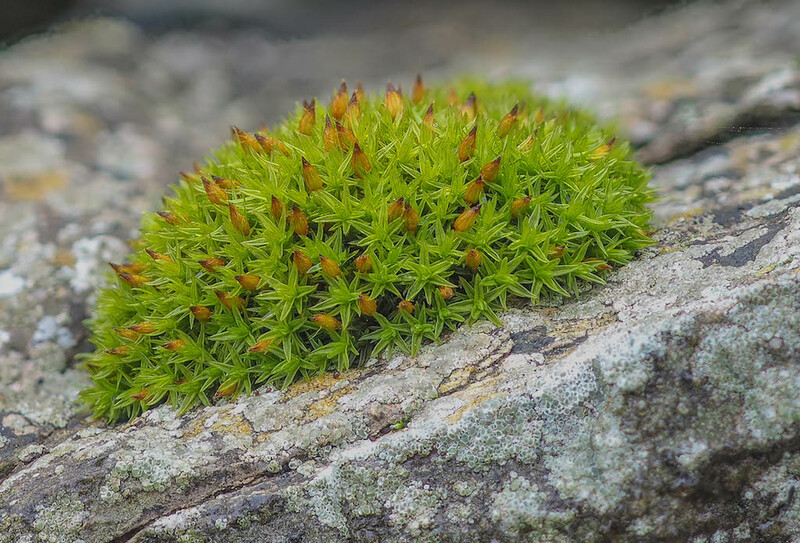 This is tuft of moss, the anomalous bristle-moss (Orthotrichum anomaly) which is around 1 cm high, perhaps slightly more. I have just realised this was taken in the field, so perhaps doesn't belong here...but illustrates the point. 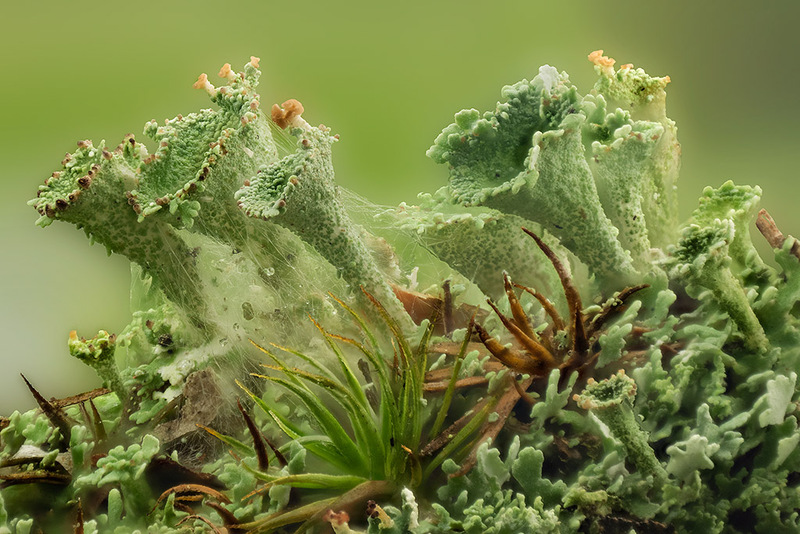 Two very nices pictures of lichens and mosses. It is even better as field work ! It is harder to do a small field studio to respect plants then to transport specimens in laboratory.